Dog ear problems are the number one reason owners bring their dogs to the veterinarian; with repeated ear infections being the most common. But, did you know that ear infections in dogs are usually the result of some other minor issue? 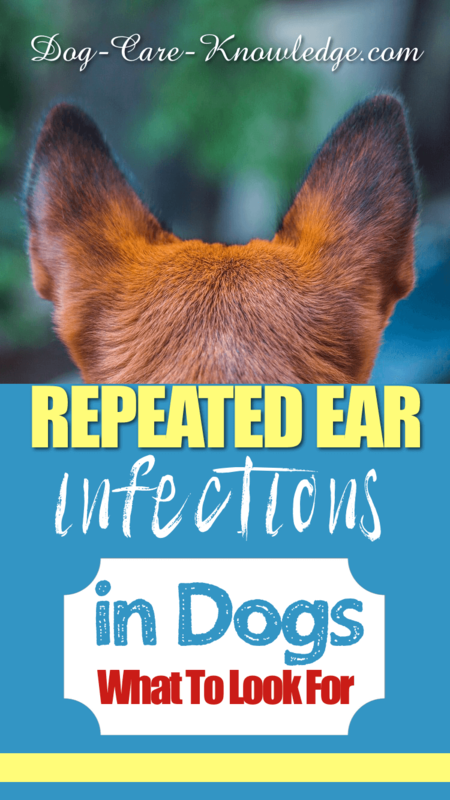 Many problems with dogs' ears start out as something relatively harmless, such as wax, hairy ears, or just water in their ears, which left untreated, can turn into an ear infection pretty quickly. 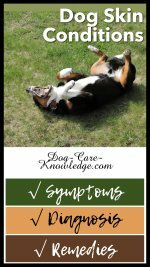 If your dog is suffering from all, or most, of these symptoms, he most likely has an ear infection which requires a trip to your veterinarian. If you're unsure you can check with a certified veterinarian online first and/or find more information here. One things for sure, repeated ear infections in dogs is usually the result of some other problem with their ears. We have included the most common reasons below, but just know that most of these issues, left untreated, can and most probably will result in an ear infection. Is your dog getting one ear infection after another? Are you fed up of putting drops in your dogs' ears only to find the infection comes right back when you stop? Well, it's possible that your dog doesn't have an "ear" issue but instead has a skin allergy. Without a doubt, allergies are responsible for the vast majority of dog ear problems. Especially repeated ear infections. If your dog suffers from lots of ear infections and has any of the other symptoms (head shaking, tiling head to side, constant scratching or bad odor) then he may have a skin allergy. In fact, if it's a skin allergy, you may also be able to see signs on other areas of the skin, such as the paws and undersides of the body where they've been constantly licking. If this is the case, there will be discoloration which looks like brown (rust) stained fur on their paws. This is easier to see on light colored dogs but it's still recognizable on darker dogs. If you suspect your dogs' ear problems are due to allergies, check to see if he has any other symptoms of a skin allergy; such as belly scratching, paw licking, face rubbing, or biting at their skin. You can find full details of dog skin allergies, the symptoms, and treatment by following the relevant links, but also make any appointment with your vet to confirm the diagnosis. Alternatively, you can buy a simple hair or saliva test to determine if, and what, your dog is allergic or intolerant to. If you choose the 5 Strands test you'll collect hair samples from your dog, or if you prefer to collect a saliva sample, use the NutriScan test. If your dog has foul smelling ears, chances are she has a yeast infection in her ears. A normal dogs' ears may smell a little waxy but shouldn't smell bad. 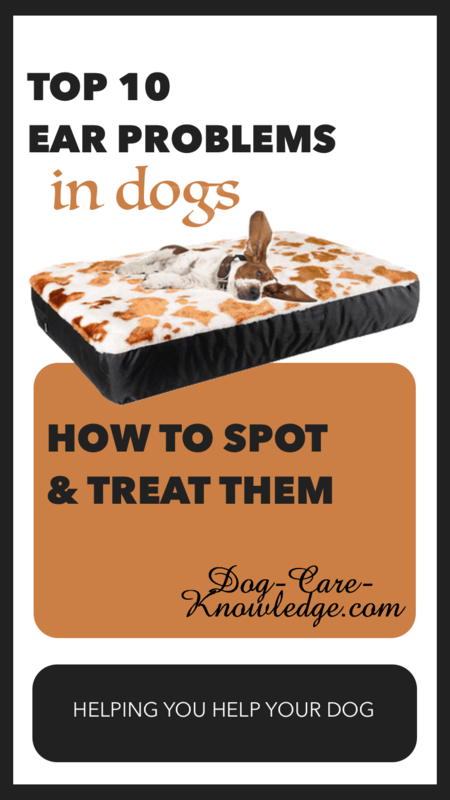 A healthy amount of yeast is normal and won't smell, but if your dogs' ears (and maybe paws) start to smell musky and moldy then they may have yeast overgrowth. This is a very common problem with dogs' ears that frequently leads to ear infections. 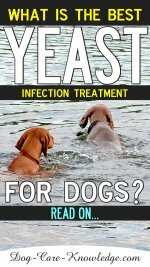 Click here for how to treat yeast infection in dogs. A quick update on yeast in dog's ears. My Mum's dog had yeasty ears for years and we could smell it so knew what it was. However, when my GSD (Ava) started having problems with her ears I didn't think it was yeast because it didn't really smell. I later found out that she was allergic to yeast. So even a small amount of yeast in her ears would itch like crazy and require treatment which prevented the odor from even starting. My point being, the pungent yeasty smell may not be present if they are allergic to yeast. Nowadays Ava is receiving allergy shots that build up her tolerance to yeast and other allergens that bother her. Did you know that it's very rare for an adult dog to actually get ear mites? When you take your dog to the vets for an ear problem they usually look for ear mites first, but it is rarely the cause of ear problems in dogs. It's usually cats that get ear mites, not dogs. Puppies do get them sometimes but that's usually because they've been in close proximity to a cat. However, if your dog is scratching at her ears a lot and shaking her head, you can do a simple test at home to detect and treat these pesky mites yourself. No purchase necessary! If you notice a lot of brown stuff in your dog's ears, don't fret, it's probably just wax and not usually a problem. Dogs do get wax in their ears which is brown and visible. Wax production increases as puppies become adults and as they get older. As long as your dog isn't scratching or showing other symptom of an ear problem, then a small amount of wax is normal. If there is a buildup on the ear flaps, then clean the flaps but not the ear canal. A small amount of wax in the ear is necessary for the health of the ears. 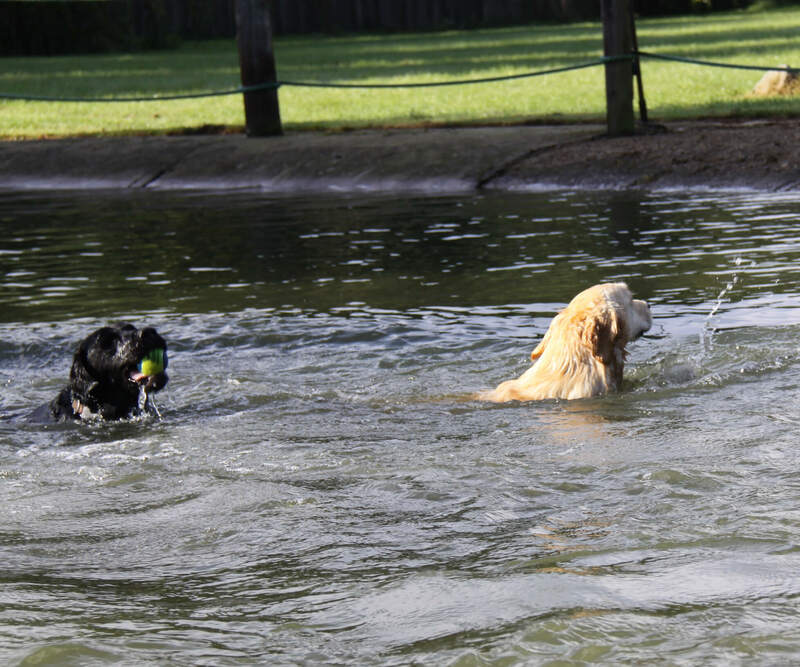 Dogs that swim a lot frequently get repeated ear infections. This is almost always due to not drying their ears properly (or at all) after swimming, or bathing for that matter. When swimming water inadvertently gets in their ears. While there isn't much you can do about that, you can, and should, ensure you dry your dog's ears thoroughly once they are done in the water. Simply put - water creates a moist environment yeast and bacteria thrive on. The easiest way for dogs to suffer from an ear infection is by enabling bacteria or yeast to grow. This is a simple fix. Once your dog has finished swimming, or after a bath, tilt his head to the side while placing cotton wool at the entrance of the ear canal to absorb the water. Repeat with the other side (and fresh cotton wool) then get a dry cloth and wipe the inside of the ear flaps as much as you can. Go in as far as you can WITHOUT jamming anything in the ear canal. Alternatively, and as well as, you can use a ear drying agent such as Vet's Best Ear Dry Relief. 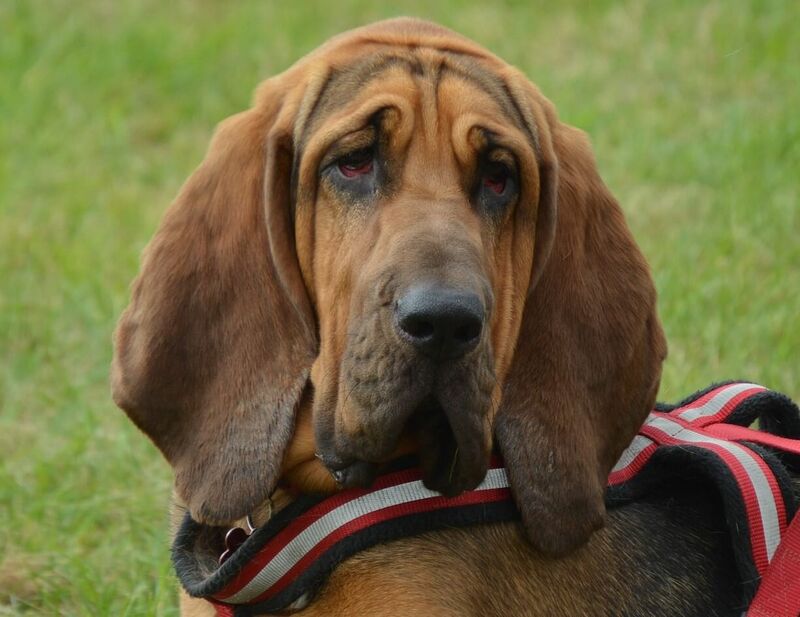 Unfortunately many dogs with heavy ears or very hairy ears (think Cocker Spaniels, Basset Hounds & Bloodhounds) are prone to ear problems as their large pendulous ears tend to lock in moisture and wax causing the perfect ground for bacteria and yeast to grow. This leads to discomfort and usually ear infections. What works well for these dogs? Basically, anything you can do to dry out the insides of their ears. Now, I know this may sound bizarre, but what works really well for dogs with heavy ears is having their ears flipped back from time-to-time. Now I don't mean go and tie their ears up on their heads! Nope, that would be silly, but when they are sleeping or resting you could just flip the ear flap back to let some air in. That will go a long way to drying up any moisture in the ear canals. You could also try using a drying agent, which is a powder that you squirt in your dogs' ears which does a great job of absorbing moisture. For these dogs, it's extremely beneficial to clean their ears regularly. Usually twice a month is good. See cleaning dogs ears for more information on how to do this properly. Another ear problem experienced by dogs that are really hairy, is the amount of hairs growing in their ear canal. Frequently this minor issue leads to ear infections in dogs as the excessive hair blocks the air flow trapping moisture deep inside the air canal. This moist environment is perfect for bacteria and yeast to proliferate resulting in a dog ear infection. Plucking these hairs is a common practice of groomers and dog owners, however, that can lead to yet another problem with the ear. Dogs ears are very sensitive inside so the act of plucking the hairs leaves a small wound that can quickly become infected. This is an easy fix. Instead of plucking the hairs, ask your groomer to trim them instead and use something to keep the ears dry. Or, why not try this at home yourself? Just ensure you use specific round-tipped scissors! A less common problem with dogs' ears is the possibility that they have something lodged in there. Dogs have very unique L-shaped ears that make this a fairly rare occurrence. The L-shape stops dirt, debris, and foreign materials from reaching the eardrum. Having said that, if you have a dog that runs in long grass or weeds a lot, there is the possibility that grass seeds, or even ticks, can attach the to flap and later drop down into the canal. Again, another easy fix would be to check the ears after your dog has been in any long grass, or has his head buried in the weeds, and wipe the ear flaps when you get home. If you do suspect your dog has something in his ear, see here for the best method of cleaning your dogs ears or seek veterinarian help. As you can see, most of the problems you'll see with dog's ears can lead to an ear infection. That is, apart from an ear hematoma. Ear hematomas are quite the opposite in that it is a condition that is usually the result of an ear infection in dogs. Hematoma's are caused by the ear constantly being shaken and flapping against the dogs head causing fluid to fill in the ear. You'll know it's a hematoma if you see a swelling on any part of the ear flap, especially the tip of the ear. It can be firm or soft or even fluctuate between the two. If your dog is itching, scratching and shaking his head a lot, then he is susceptible to getting an ear hematoma. Any one of the above dog ear problems can cause a hematoma to develop, especially if there's lots of shaking and scratching going on. Treatment for ear hematomas is usually quite successful but requires a professional veterinarian to perform. It could be as simple as draining the fluid, using a laser to reduce the swelling, or surgically removing the fluid. Either way, addressing the underlying cause of the scratching and head-shaking in the first place must also be addressed. As you can see, left untreated, many ear problems in dogs will result in an ear infection. 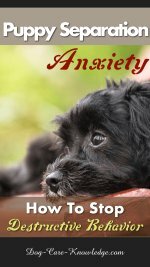 To relieve your dog's discomfort you need to find the exact cause to enable you to begin the right treatment to finally resolve, or at least manage, the issue. So if you are fed up with constantly putting drops in your dogs' ears, review all the information on this page to see if you can find the cause of your dog's ear problem. Be sure to also check out the details of dog skin allergies as the two are usually related.